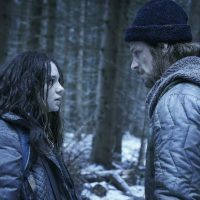 L-R: Esme Creed-Miles, Joel Kinnaman/Amazon (NEW YORK) — On the heels of its March 29 series premiere, Amazon has renewed Hanna for a second season, according to Deadline. Based on the 2011 film of the same name, Hanna follows the titular character, played by Esmé Creed-Miles, a young girl raised in seclusion and trained in the deadly arts, who goes on the run to evade the relentless pursuit of a CIA agent, all while the teen tries to uncover the truth of who she is. Hanna can kill you six ways from Sunday, but, for example, she’d never seen another person her age until the global cat-and-mouse game unfolds. The show, which also stars The Killing veterans Joel Kinnaman and Mareille Enos, is streaming now.